Tony Martignetti Nonprofit Radio and Atlas of Giving are hosting a review of 2013 U.S. fundraising and the forecast for 2014. We’ll live stream the event, which will look back and ahead to giving by charitable mission, funding source and state. Join us here–on this page!–on Tuesday, January 21, 10 to 11am eastern,* for the live stream. 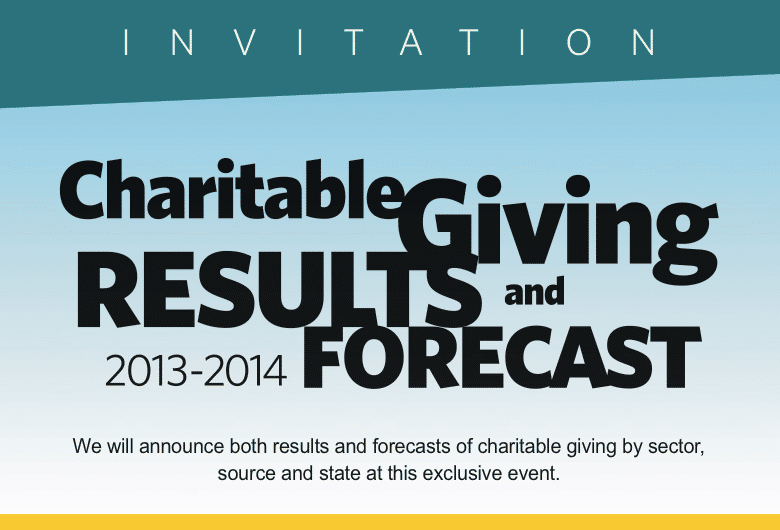 Leading up to the event, follow #Giving2013. Rob made his 2013 announcement on Nonprofit Radio last January. I’m impressed by the Atlas of Giving methodology because it is based on economic, demographic and historical data. Hard numbers for precise measurement—and forecasting. Their team of mathematicians, analysts and statisticians unlocked the algorithm that delivers 91 to 99.8 percent historical accuracy back to 1972. We’ll come to you from the stunning 34th floor Boardroom in Mutual of America’s flagship building on Park Avenue in NYC. * I sincerely apologize to those in the pacific and mountain time zones. We didn’t anticipate live streaming when we locked in our venue. It’s our first time out. We’re shooting HD video and I’ll let you know when it’s up. Plus, it’s a G+ Hangout on Air so the stream will be available immediately. I’ll give your email to Rob Mitchell and I’m sure he’ll follow up. would like to get a digital copy of your 2014 fund raising forecast, specifically information on the outlook for raising endowment dollars in the next 5 – 10 years. Glad you were with us!